The federal government recently introduced new rules for mortgages that will affect several groups of people, especially buyers who are putting less than 20% down. Why do this? To try to restrain a very hot housing market. According to the latest statistics from the Toronto Real Estate Board, the value of a detached home went up by 22% as compared to September 2015, with an average price of $1,294,482. If this trend were to continue, the average price for a detached home would hit $1,553,378 this time next year, and that is simply unsustainable. The new rules will require lenders to do a ‘stress test’. 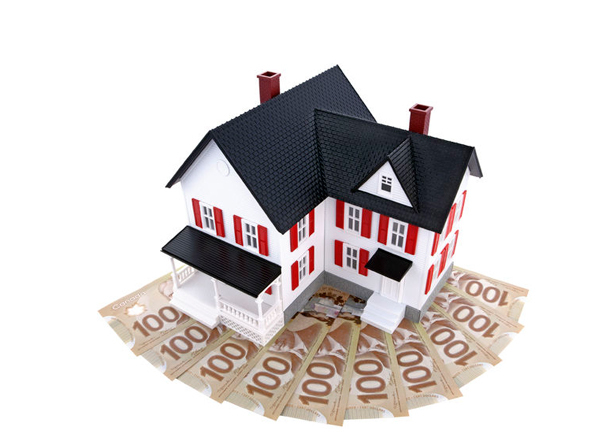 They’ll have to see if potential buyers would be able to afford to pay the mortgage at the Bank of Canada’s rate, which is several points higher than the typical lender’s rate. Here’s a good article from the CBC explaining some of the changes. The big question is – are the new rules going to cool the market? Experts don’t seem to agree on the percentage of people this will affect. Any time there’s a change in the rules, people get the idea that there’s something to worry about. I wonder if the idea will cause a ripple effect rather than the actual tightening of the rules. I spoke with mortgage agent Michelle Greenwood to find out her opinion on the changes. As of Nov. 30, the government will impose new restrictions on when it will provide insurance for low-ratio (more than 20% down payment) mortgages. The new rules restrict insurance for these types of mortgages based on new criteria, including that the amortization period must be 25 years or less, the purchase price is less than $1-million, the buyer has a credit score of 600 and the property will be owner-occupied. “A lot of people don’t realize that lenders often insure their low ratio mortgages as it allows them to reduce their risk and package and sell them to investors. The new changes affect the lenders access to insurance which in turn dramatically affects the way that smaller lenders can access capital and will in all likelihood have the effect of dampening competition,” says Greenwood. She believes that with these new rules the government has created major changes in the mortgage market that are very likely to have an effect on the real estate market as a whole. However, she says “It’s hard to comment on how it will play out because we don’t yet know what the lenders are going to do in response to the changes.” She says that while the official deadline for these changes is November 30th, we are already seeing lenders pull products that were previously available. That’s a big decrease in what someone is able to afford. I’m finding most of my clients are putting more than 20% down – they’re not buying with 5% or 10% down if they’re able to, they want to avoid the CMHC mortgage insurance. It’s worth nothing that there are many reasons the Toronto real estate market is heated and it’s not just because money is easy to get. It’s also because there is a real lack of inventory available. I don’t think we’re going to see any effect on pricing. We may not see the same amount of price growth, but activity levels won’t necessarily change that much. If anything, we may see fewer multiple offer situations and there may be a decreased amount of activity in the market in the short term. However, we’re currently in the middle of the fall market which is traditionally slower, but often unpredictable. The spring market will be the real test to see if the new rules are playing any part in our market. It may not be quite as heated – we won’t necessarily see the amount of offers that are coming in at crazy prices and blowing everybody out of the water – maybe things will be thoughtful as opposed to haphazard. The changes will likely affect first time buyers who have saved up a 5% down payment, but they aren’t the market that’s going crazy right now. The one that’s off the charts is the move up – young families wanting to get into different neighbourhoods – they typically have down payments over 20%, so they can afford to pay exorbitant amounts of money for homes because they have that cushion. If you have any questions about how the new mortgage rules will affect you, please don’t hesitate to give me a call – I’m always happy to answer your questions!